The last time a No. 1 or No. 2 team that was not Alabama or Florida played at Tiger Stadium was on Oct. 26, 1991, when No. 1 Florida State beat unranked LSU, 27-16. BATON ROUGE - The opponent is No. 2 in the nation. It won the Southeastern Conference championship last season and played in the national championship game. It is No. 2 Georgia, which will be the first No. 1 or No. 2 team to play at LSU that is not Alabama since Oct. 10, 2009, when the No. 1 Gators beat No. 4 LSU, 13-3, in Tiger Stadium. 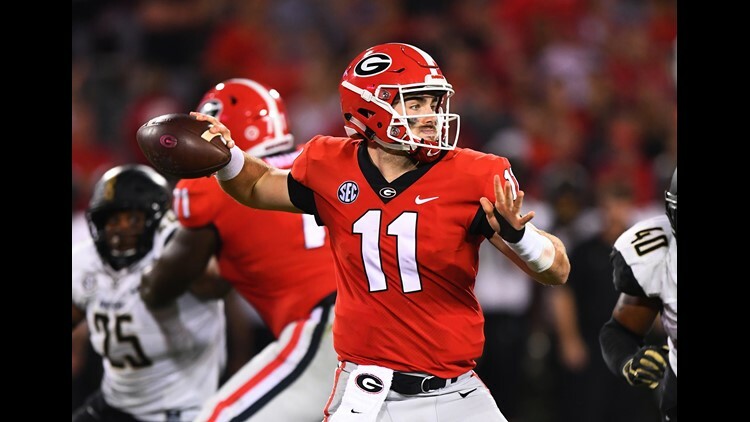 LSU has defeated Georgia in two of the last three meetings, including by 42-10 in the 2011 SEC Championship Game, and leads the series 16-13-1. "It's something different," LSU sophomore center Lloyd Cushenberry of Geismar, near Baton Rouge said. "It's exciting. We play the same teams every year most of the time. I like mixing it up and playing Georgia. I remember watching the game the last time they were here in 2008." It's cool when you get a different team like Georgia coming in," LSU junior defensive end Rashard Lawrence said. "And they're the No. 2 team in the country. That's the coolest thing to me. That's motivating, knowing that they're being talked about as one of the best teams in the country. They're a helluva team, so to have that challenge coming into our stadium at 2:30 p.m. on CBS, that's a motivating thing. We haven't played them in a long time. It's going to be real fun. It's a big time game." The game sold out on Monday, and a capacity crowd of 102,321 human beings is expected - not just 102,321 tickets sold. Meanwhile, LSU will be playing its fourth ranked team and third in the top eight, having beaten No. 8 Miami and No. 7 Auburn before the 27-19 loss at No. 22 Florida.